When you think of someone labeled as a tough guy, what is the first thing that you think about? Maybe it’s a black leather jacket, or a pair of black combat boots, or even the cold black heart beating in the confines of their chest. Well, leather jackets and boots can get pretty spendy and let's face it, you have a heart of gold. You big ole softy! 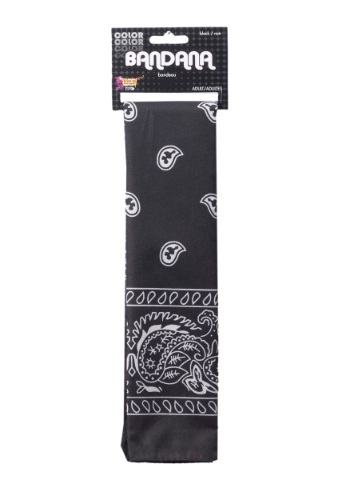 However, there is one thing that those three tough guy accessories have in common and that is the color black! Nothing screams bad boy like wearing as much black as possible! No one will doubt how tough you are when you walk around in all black, even on the hottest of days. 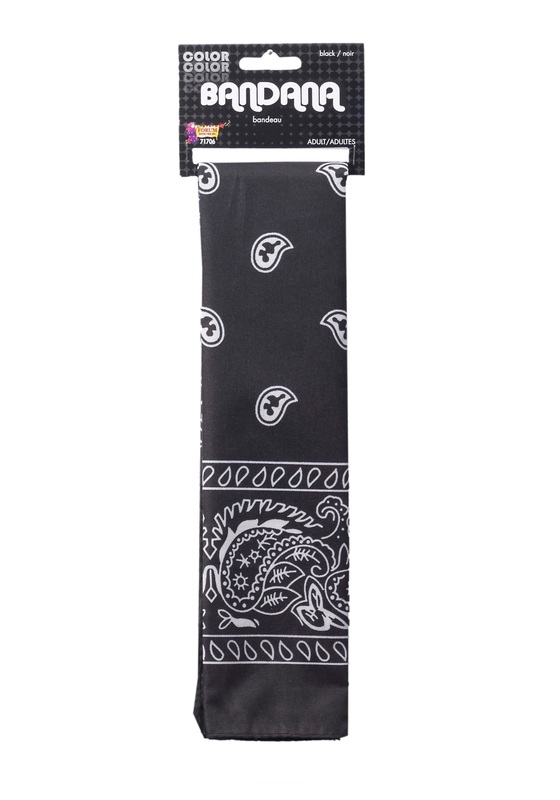 So make sure not to pass up on this Black Bandana! It's the perfect accessory to complete your tough guy costume and ensure that you're wearing the most black from the top your head to the bottom of the soles on your shoes.